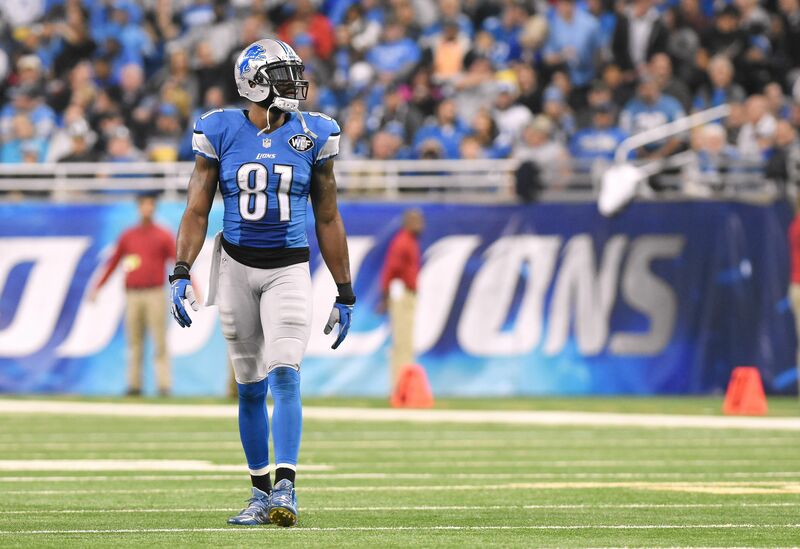 Even after some negative comments towards the team, Calvin Johnson received an invite from the Lions for the team’s training camp. It looks like the Detroit Lions just can’t get over the nasty breakup they had with Calvin Johnson that led to his retirement, and they’re trying everything they can to bring the wide receiver back for next season. Johnson hasn’t been seen on an NFL field since the end of the 2015 season, and retired due to injuries at just 30 years old. He went down as the Lions’ greatest receiver in team history, and likely still had plenty left in the tank to add to his resume, if he wanted to. According to Tim Twentyman of the Lions’ official website, Lions owner Rod Wood hasn’t given up on trying to get Megatron back on the field. Twentyman reported that Wood told WJRR Radio he has been in touch with Johnson recently, and gave an invite to the team’s training camp to their former star receiver, in hopes to get him back on the field. The invite comes at a bit of a strange time in the offseason, especially after Johnson had some negative comments towards his former team just last week in an interview at an event in Italy. Wood obviously couldn’t have been too offended by the comments, and maybe he sent the invite to try and prove Johnson wrong about the idea of the Lions winning a Super Bowl. Now, it’s time to see if Megatron takes the bait and gets back on the field for this upcoming season.